Perhaps it’s time to talk about the elephant tromping all over the new year: net neutrality, and how in the world it will affect digital creatives. 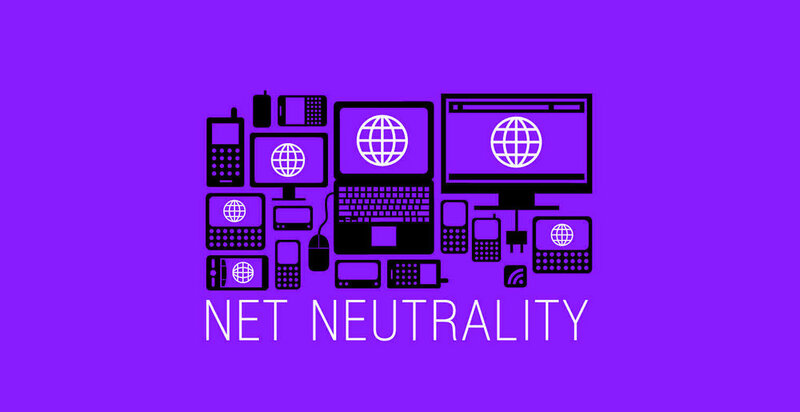 If you have been living under a rock or just returned from an uber chic silent retreat, here is your one second catch up: FCC Chairman Ajit Pai and his cronies fellow Republican FCC chairmen voted to repeal net neutrality. In over-simplified-but-still-true terms, this victory would mean AT&T, Comcast Corp, and Verizon Communications Inc. would have power over consumer’s access to online content. The kind of content that we have made our livelihood. (This is one of the few times I would recommend reading the Wikipedia article.) Even behemoth distribution platforms like YouTube will not (and have not) be impervious to throttling and blocking, which makes the creators job x-times harder. What happens to someone entering the field, intent on creating work, when they discover they have to raise thousands of dollars more just for a better chance of popping up in the search bar, when even that multi-million dollar company can’t control who has access to their site? It’s a bet many creators and investors aren’t willing to take. The ruling represents nothing good for us. It is now a debate of extent. If you have rose-tinted glasses on, maybe the future means some tougher times and trickier distribution, with the faith that some enterprising young mind will crop up and start the indie distribution company of our dreams. If you are plagued with a consistently pessimistic mindset, this might mean game over. In all of this, we have one truly actionable item: double down on Web Fests. We’re indie too. We understand production issues as well as policy and IP limitations. We have a unique set of skills and knowledge that relate exclusively to digital positioning, and the DC Web Fest particularly has an understanding of how the needs of big-tech and big-policy converge. Festivals will almost certainly become the new distribution platform/ discovery ground for producers looking for new talent/ topics, and we foster a community of support. It takes a team, and we want you on ours. Almost like a workers union, except a lot more hopeful and (probably) a lot more fun. If you’d like to participate and join this growing conversation, remember the FINAL FINAL DEADLINE for the DC Web Fest is January 31. We would love to celebrate your work, and hope to see you this April 6th and 7th!